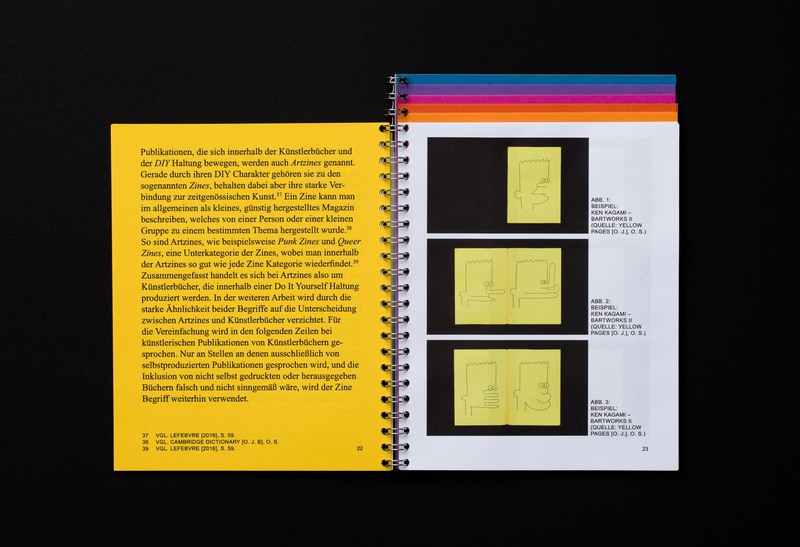 In the contemporary design and art scene, there is a recurrent interest for (print-)objects and the process behind their creation. 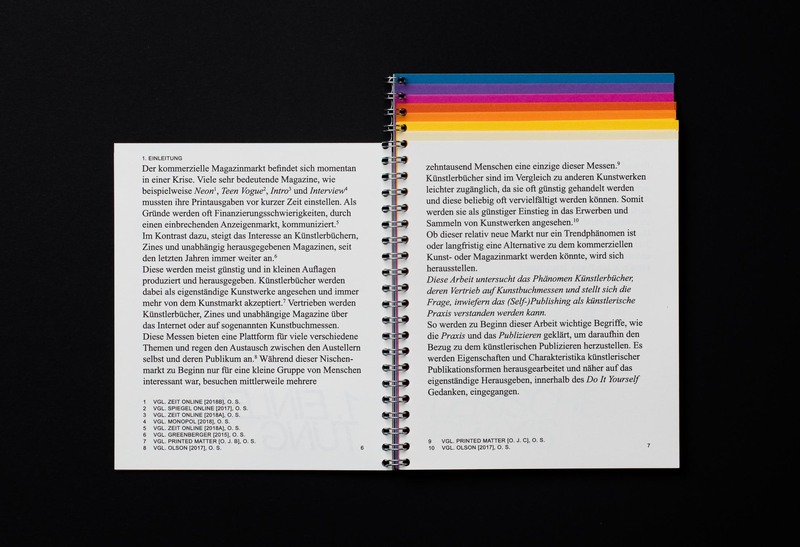 More and more designers and artists see the making and publishing of most printed matter as an integrated part of their entire creative practice. 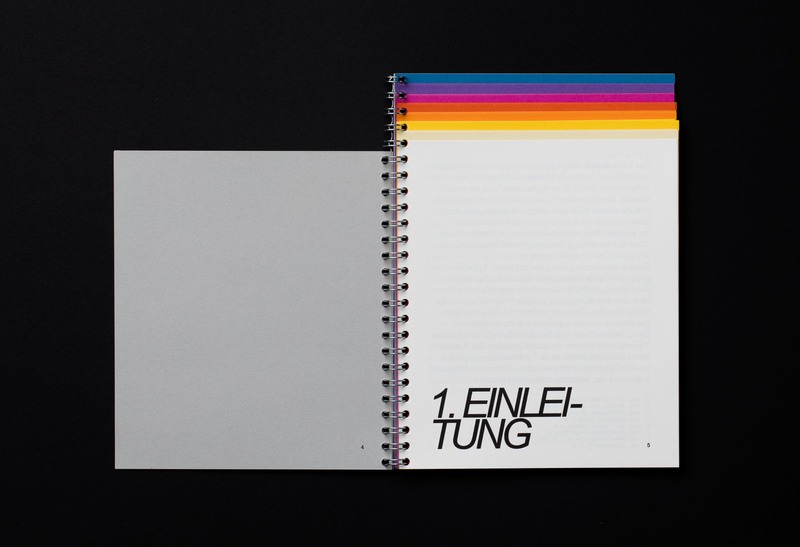 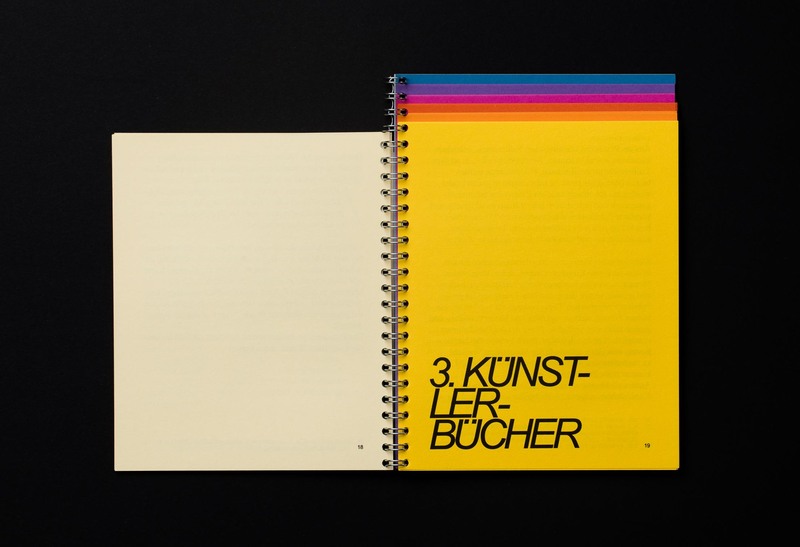 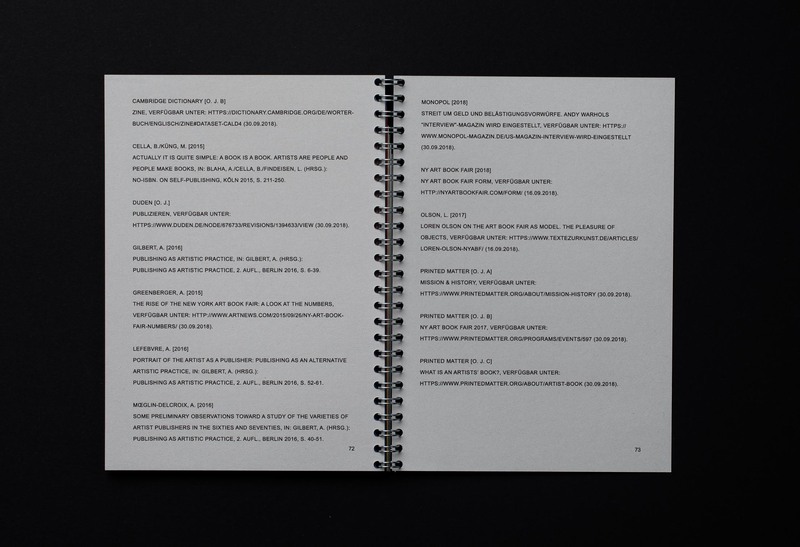 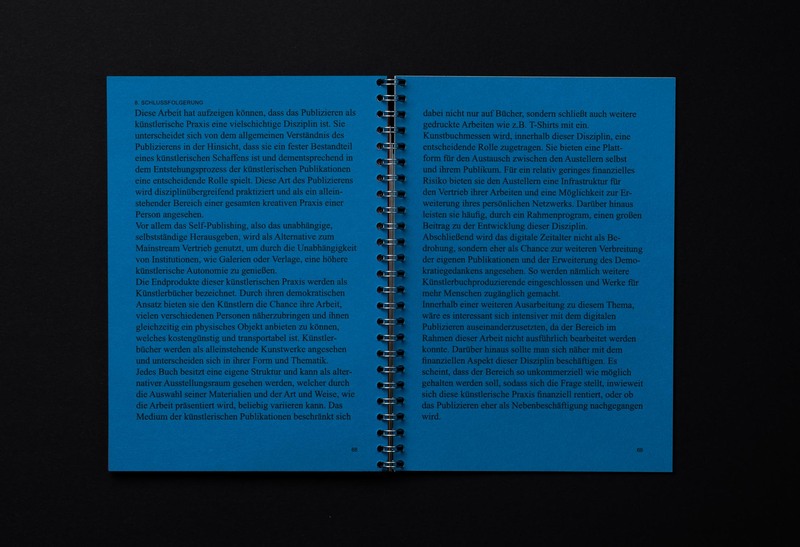 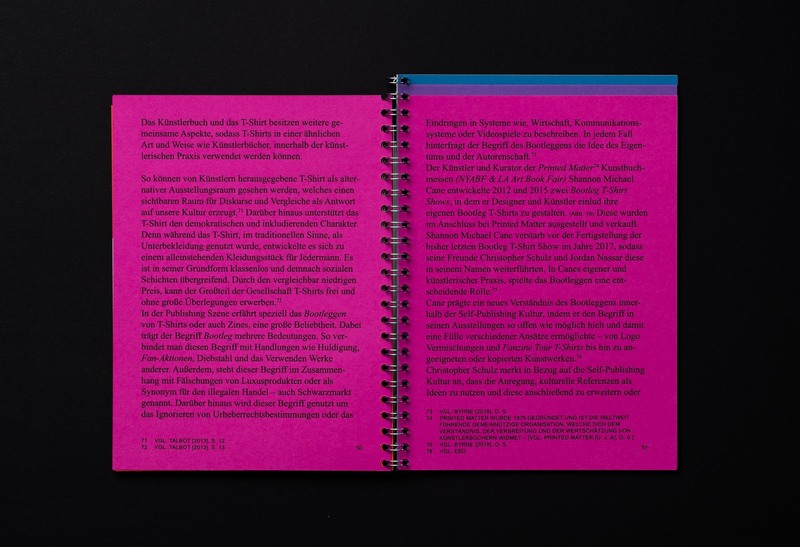 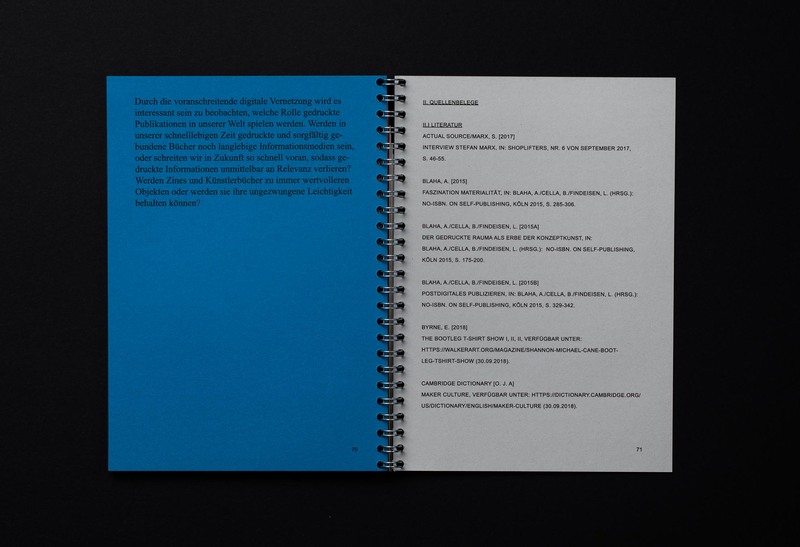 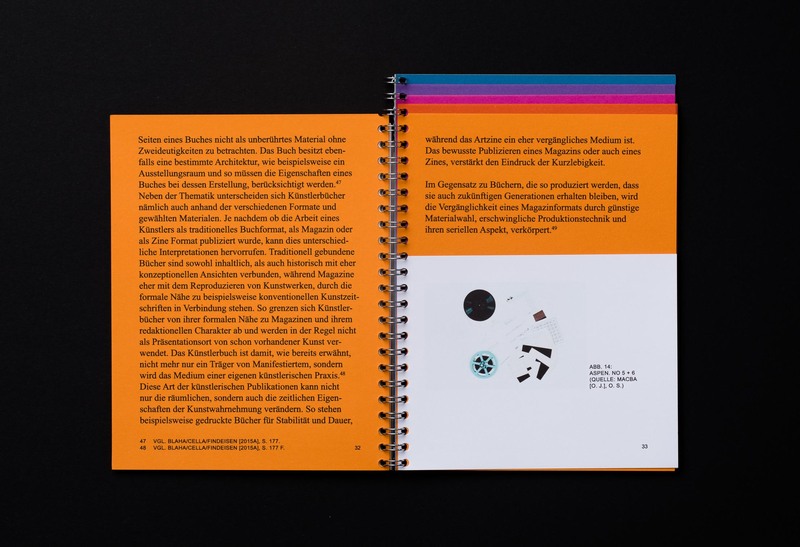 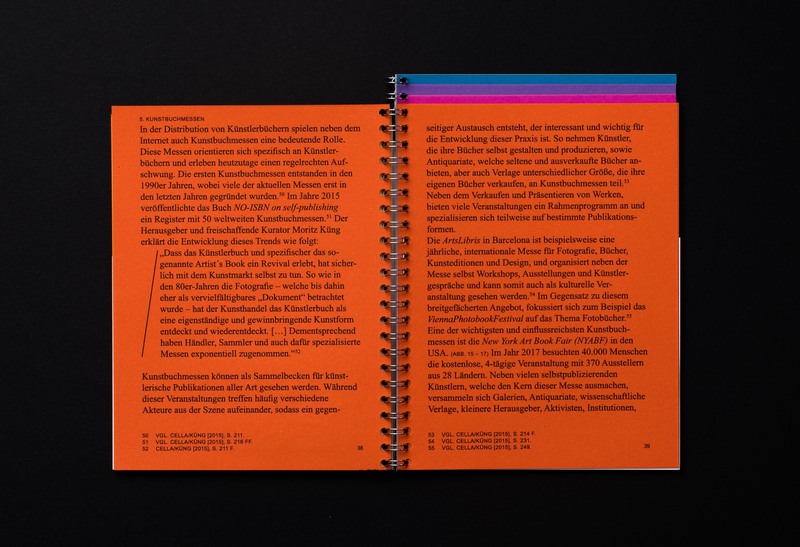 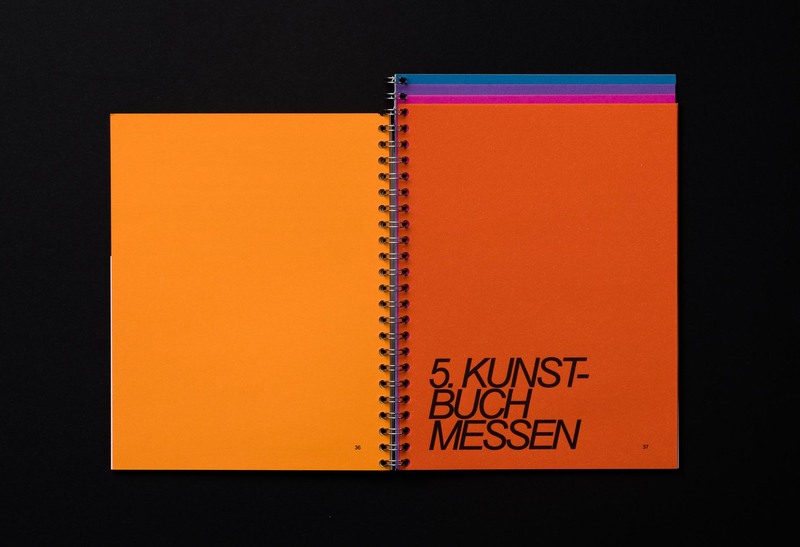 The Scientific Research Proposal (Self-)Publishing – Das Künstlerbuch als autonomer Ausdruck deals with artist’s book as a creative medium. 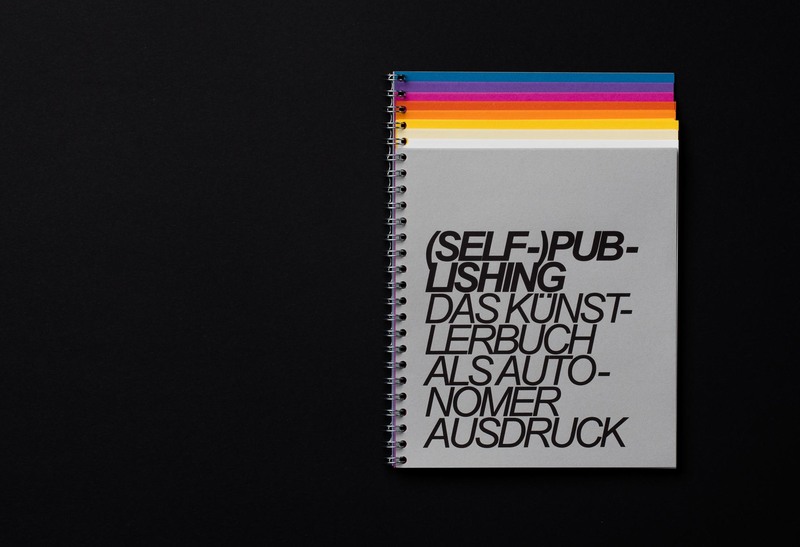 This paper investigates to which extent publishing can be regarded as an artistic practice and focuses on the independent and individual publishing of printed matter; so-called self-publishing. 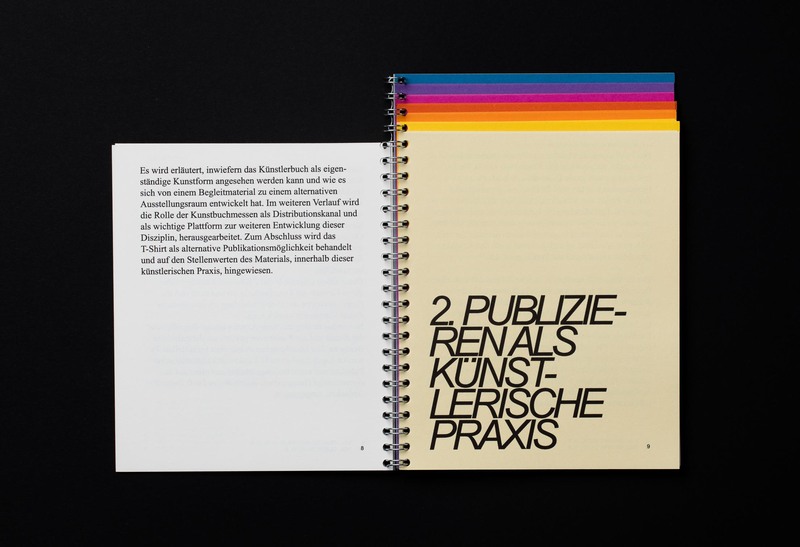 Artistic publications have evolved from being just a medium to an independent practice on their own. 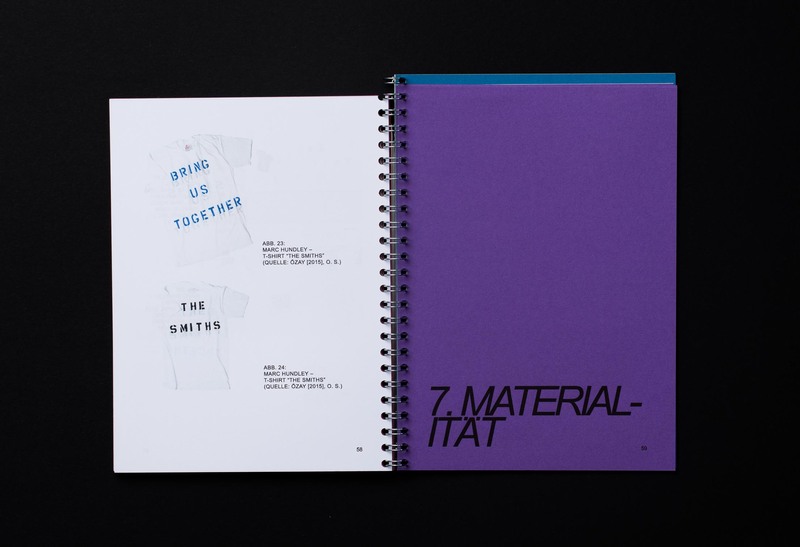 Artists’ books, T-Shirts, prints and other objects are regarded as works of art in their own right, and self-publishing is used as an alternative to the mainstream market, in order to maintain a higher autonomy and independence towards institutions.